Oceanic art creates fascination on many levels. 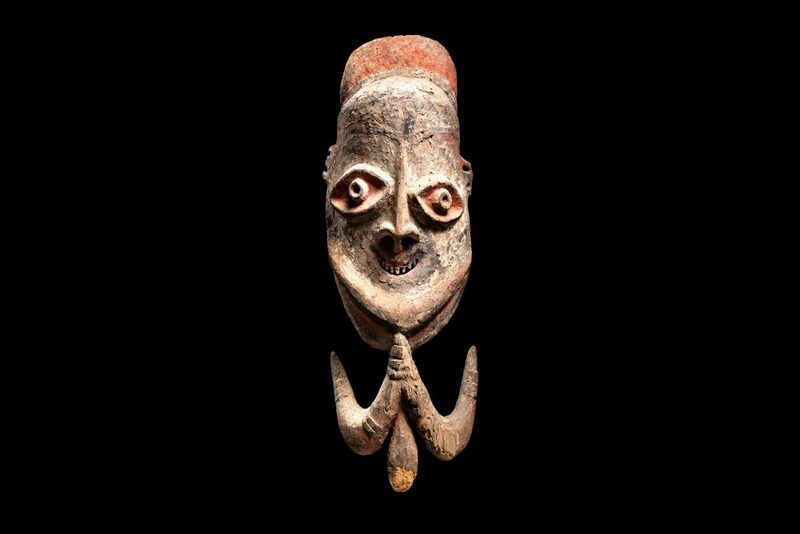 In this edition of the OAS Journal we look at two quite different ways of seeing traditional artefacts. To Dr. Michael Mel, a Papua New Guinean scholar who grew up in a Highlands village before setting off on his own personal odyssey, they are the physical embodiment of stories — the stories that are the keys to understanding, retaining and transmitting cultural knowledge. 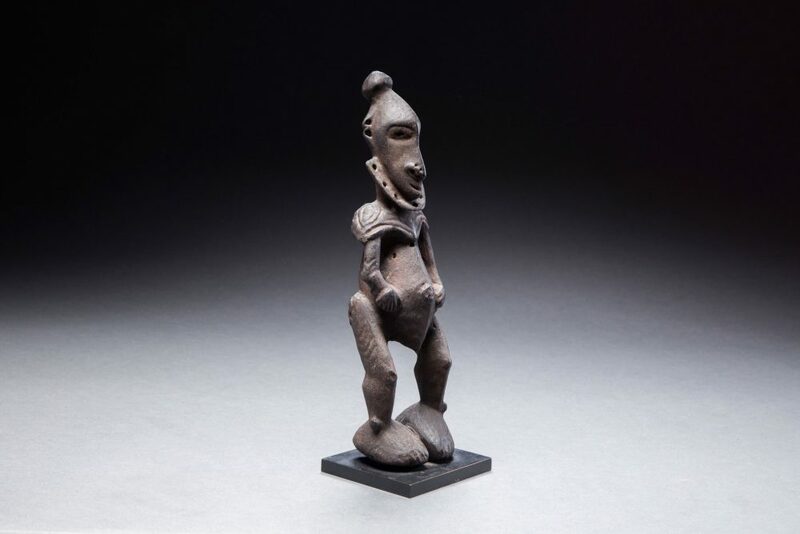 To Michael Hamson, one of the foremost contemporary dealers of Oceanic art, traditional artefacts are artistic works of exquisite beauty, capable of objective assessment. Of course, these interpretations are not in the least mutually exclusive; rather each reinforces the intrinsic power of traditional artefacts, a power that all readers of this journal will readily acknowledge. In an interview we follow Dr Mel’s journey and how his thoughts evolved into his concept of museums as being a Ples Namel, a middle ground, where different peoples and cultures can meet, their modern and historical interactions told, to some extent, through the agency of artefacts. Mr Hamsom’s wonderful analysis of the physical aspects of objects, of why and how that beauty emanates, will enrich any student’s or collector’s appreciation of this art genre. His article, the first half published herein and the second in the next edition of the Journal, is a summary of his excellent presentation at last year’s stunning OAS Forum at Melbourne’s Savage Club. Further reinforcing the layers of meaning hidden in artefacts is the article by Angel Bottaro on the king plates that were given to Aboriginals in colonial Australia for a variety of reasons. The form and function of these objects changed over time, reflecting the changing relationship between the European settlers in Australia and the original indigenous inhabitants. Ms. Bottaro tells this rich story and explains why king plates still have currency today. We are pleased to announce that plans for this year’s Tribal Art Fair Sydney are well advanced. TAFS is to be held at the Cell Block Hall within the National Art School, Darlinghurst, Sydney, on Saturday 21st of July. Places are still available for prospective vendors for what promises to be another successful and fun event for Oceanic art lovers. Hearty congratulations are to be extended to the TAFS Sub-committee for negotiating the transition to the new location at the NAS and we look forward to a close collaboration with the School in the years to come. Also hard at work is the 2019 OAS Forum Sub-committee. This gala event will be held on the 2nd and 3rd of February over three Sydney locations: the Art Gallery of New South Wales; the Australian Museum, and the National Art School. The Forum’s participants will be looking at the historical contexts of the formation of collections in museums such as The Metropolitan Museum of Art in New York and the Art Gallery of NSW. 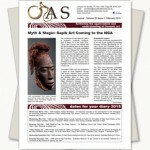 The OAS is very pleased to announce that Maia Nuku, the Metropolitan Museum’s Evelyn A. J. Hall and John A. Friede Associate Curator for Oceanic Art will be the keynote speaker. More information on the 2019 Forum will appear in the next edition.